Born and raised in Philadelphia, I love a good Cheesesteak, and I have a great recipe for making them at home here. I have used leftover cheesesteak ingredients to make a cheesesteak omelet inspired by one I had in Philly, and have also had cheesesteak calzones and strombolis, but never a pizza. 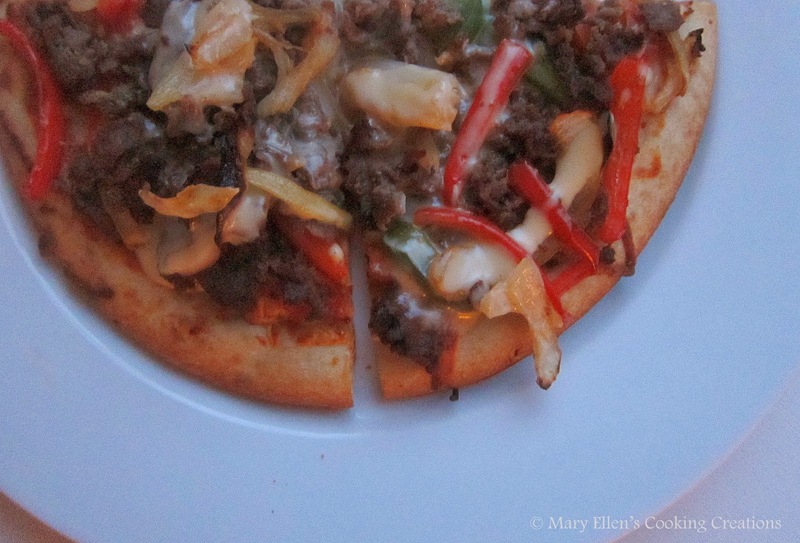 You can use your own pizza dough recipe for these, or buy a pre-made crust. 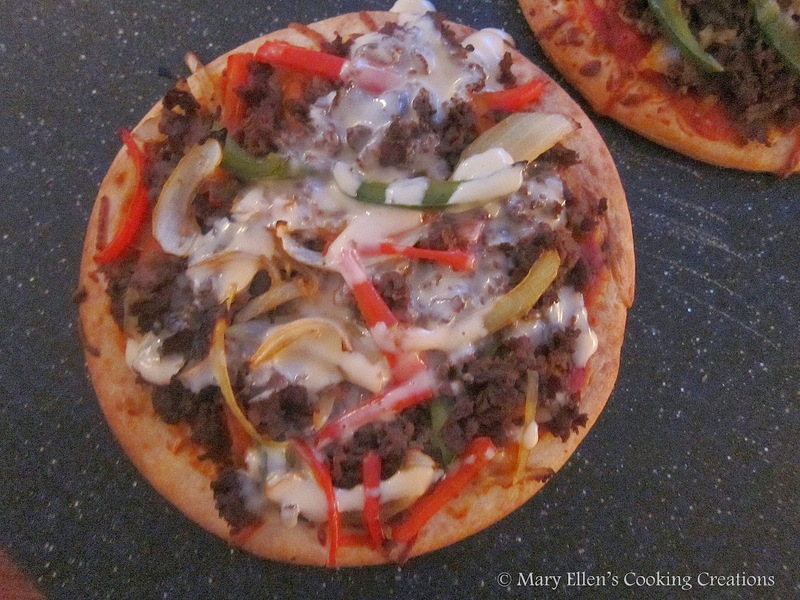 I made 2 personal pizzas so Jon and I could adjust them to our preferences. My pizza followed the original recipe exactly, but I made a few changes to Jon's including adding pizza sauce and some shredded pizza cheese. I was SO happy with these! The soy sauce with the meat adds great flavor, and the cheese sauce is to die for. Note - make extra cheese sauce because it's great poured over nachos or in a quesadilla! 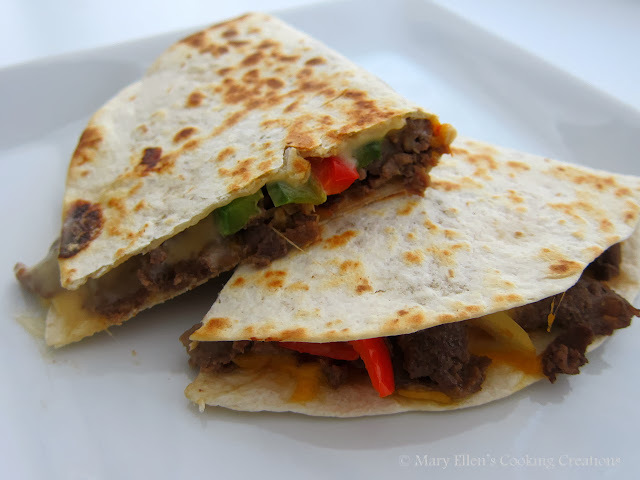 I actually had some leftover meat and peppers too, so the next day I made cheesesteak quesadillas using those ingredients and the cheese sauce. * A few notes on the recipe and ingredients. - The original recipe calls for flank steak. If you don't have flank steak, try rib eye (put it in the freezer for a bit so you can slice it super thin). Another option is using frozen thinly sliced steaks packaged for cheesesteaks - note, not SteakUms but meat frozen in a meat pack by the butcher. These work fine and will save you some cooking time, and they can be shredded as you cook them instead of sliced after cooking. - Also, the cheese sauce is a must. Don't get worried that there isn't any cheese that melts on the pizza while it is baking - you won't need it with this cheese sauce. When you make the cheese sauce, try adding some American cheese to it to make it super creamy. - One final note - make extra of everything! Trust me, you will be happy to have leftovers! Place a pizza stone or heavy baking sheet in your oven, and preheat oven to 500° (keep stone or baking sheet in oven). Add the oil to the pan and swirl to coat. Add the onion and bell peppers; sauté for 3 to 5 minutes. Add garlic; sauté 2 minutes. Add sliced steak; sauté 30 seconds or until thoroughly heated. Remove from heat; stir in remaining 1/2 teaspoon black pepper, onion powder and soy sauce. Arrange steak mixture over crust. Combine milk and flour in a small pot; stir with a whisk until smooth. Place on the stove over medium heat and bring to a simmer. Remove from the heat and stir in your cheeses, whisking until smooth. Drizzle the cheese mixture over the pizza. We loved that pizza! Great choice! Oh! I need this in my life! Wow. 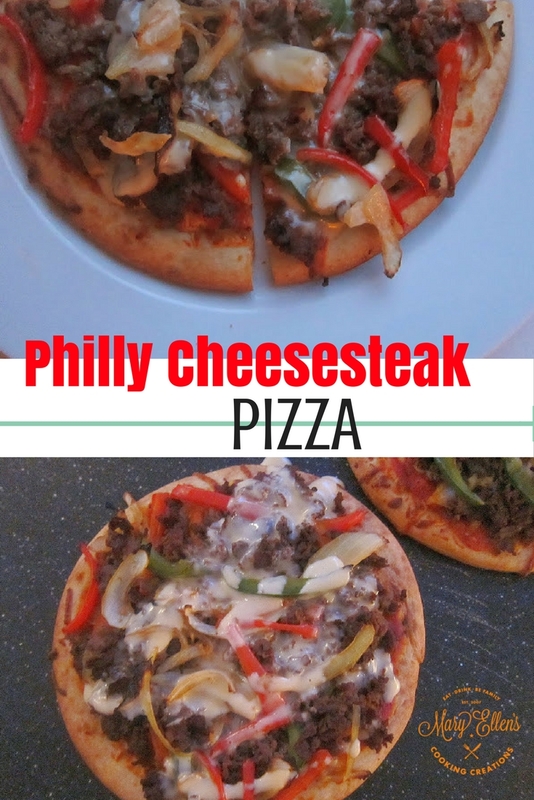 Seriously these look amazing, I love cheesesteaks and would never have thought to put them on a pizza! I can't wait to make this. I know we're all going to love it.